A few years ago, Twinkle Legaspi turned what could’ve otherwise been an unproductive night into a therapeutic and profitable venture. Unable to sleep, she found herself wandering into the kitchen for some baking therapy and emerged several hours later with trays of cupcakes. This went on for several nights until her happy—but mysteriously heavier—family insisted that she share the goods with her friends. 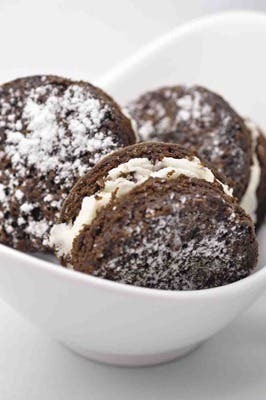 The sweet treats became a staple at gatherings with friends (she often took them to her dance classes as a post-workout treat), until people started asking her for orders. 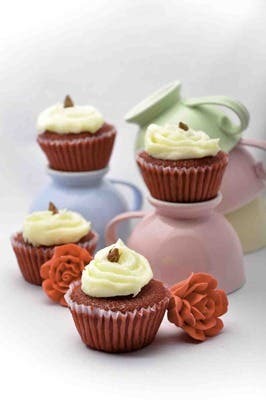 By then, cupcakes were becoming a major food trend. However, while Twinkle loved the pretty, delicate cakes with fondant roses and heaps of sugared frosting, she discovered that more often than not, they didn’t taste as good as they looked. Inspired by a trip to Connecticut where she spent a day baking in a kitchen barn, the Dessert Barn finally opened for business. The name had a double meaning—the homey image perfectly captured the homegrown, back-to-basics feel that Twinkle wanted for her goodies. Instead of immediately coming up with a huge portfolio of desserts, Twinkle decided to stick to the ones she did best. Each item on her short but succinct list is a classic dessert elevated to new heights through hours of experimentation and testing by Twinkle and her willing friends. Some of Dessert Barn’s bestsellers include the Bananalicious cake (it’s available in three varieties: cranberry, walnut, and peanut butter), ‘ilovu’ red velvet cupcakes, and Amnesia, which is probably one of the best chocolate cakes to be found in Manila. Made with layers of rich chocolate cake alternated with frosting and surrounded by a crushed Oreo crust, it’s named so because it’s so good, it’ll make you forget your name. Four layers of moist chocolate cake, three layers of chocolate filling, topped off with homemade dark chocolate fudge, then encapsulated in an oreo crust. An undeniably moist banana cake. You’ll be able to tell that bananas definitely RSVP-ed in this cake! It’s our popular bananalicious cake all dressed-up and ready to go: topped off with an elegant snow glaze, then sprinkled with cranberries and walnuts. PB + B = LOVE. Home is where the heart is, and what else is spells home like peanutbutter!!! Our bananalicious cake slathered in a peanutbutter frosting, sprinkled with chunks of choc nut make it simply irresistible. 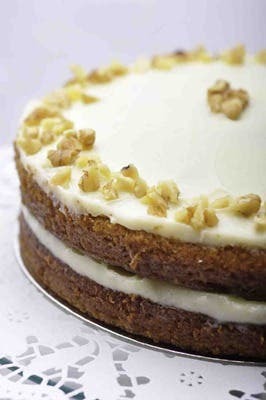 Dance your way around this – a moist carrot cake with our favorite cream cheese frosted topped off with roasted walnuts! 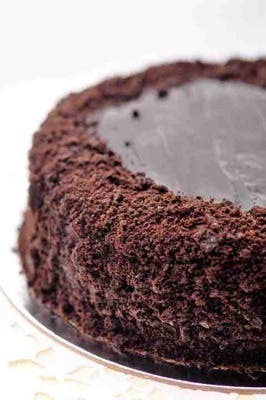 I know, your mouth is probably watering at the sights and descriptions of these yummy desserts! So When In Manila, do order these home made goodies to help you get that sugar high you so unheedingly deserve. What is the Philippines’ Word of the Year? WATCH: Disney Has a New Short and It’s About a Little Dumpling!